The Centurion Conference & Event Center has elegant banquet halls to welcome and accommodate guests for every type of occasion — from business functions to special events. Our Award-Winning banquet facility hosts: conventions, tradeshows, workshops and training seminars, social events, baptisms, Christmas Parties, weddings and wedding showers, etcetera. 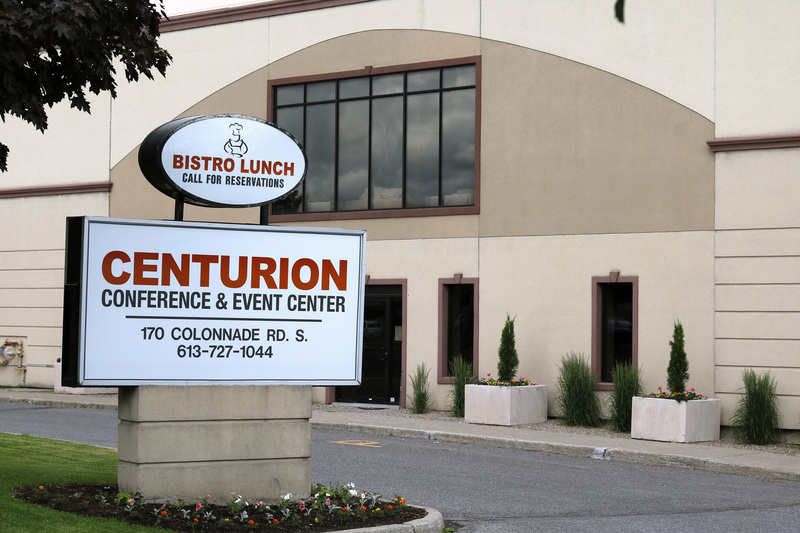 Guests attending a function in our banquet center will receive personal service provided by the Centurion Conference & Event Center’s professional and dedicated staff. Our Chef delivers his homemade creative cuisine that appeals to all tastes and accommodates all budgets. Our staff is professional, friendly and personable. Our commitment to providing guest satisfaction through understanding and exceeding our customer’s needs and expectations, is one of our highest priorities. We look forward to hosting you and your guests. Feel free to browse our website to learn more about our corporate, social, and catering divisions, as well as more about our facilities, services, and staff. Please do not hesitate to contact us at 613-727-1044 should you have any questions.